Modern Label Punches; White Tea Lace Doily; SU! Good Morning & Happy Sunday Stamping Friends!!!! It's time for a new challenge over @ Crafting When We Can & our theme this time around is actually a technique--No Line Coloring! Our sponsor is Inky Impressions & I used Fairy Sitting On Clothespin to make my creation for today. I have to say that this was really a challenge for me as I'm used to coloring darker images & at first; I hated my card when I was done with it until my daughter took it and touched it up a bit. She added some details to the leaves, berries, clothespin & fairy herself....I do like it a lot more now but I can't say that I'll be doing this very often unless it's required of me LOL!!!! My teammates did an outstanding job on their cards as well so check out our blog to see what they made & while you're there; read up on our rules so you can play along with us! I'm looking forward to seeing what you create with this technique....have fun & happy stamping everyone!!!!! No line coloring, how great does that look! The tutorial over at the challenge blog is really helpful as I've never tried this technique before myself. Your coloring is beautiful, love the DP you've used too! Sweet! Such a cute card and great image. Thanks for joining us at Polkadoodles for our Things with Wings challenge. Wow, your card looks fantastic! I wouldn't dare try something like that! I think it turned out well Jackie!! You always do beautiful work!! I will have to check out the tutorial. Super cute card, I love the colors. tfs!! This is just adorable! Love everything about it! What beautiful color and paper. Great job! oh, what a very nice card. thanks for sharing with The Staming Boutique and good luck. Beautiful!!!! 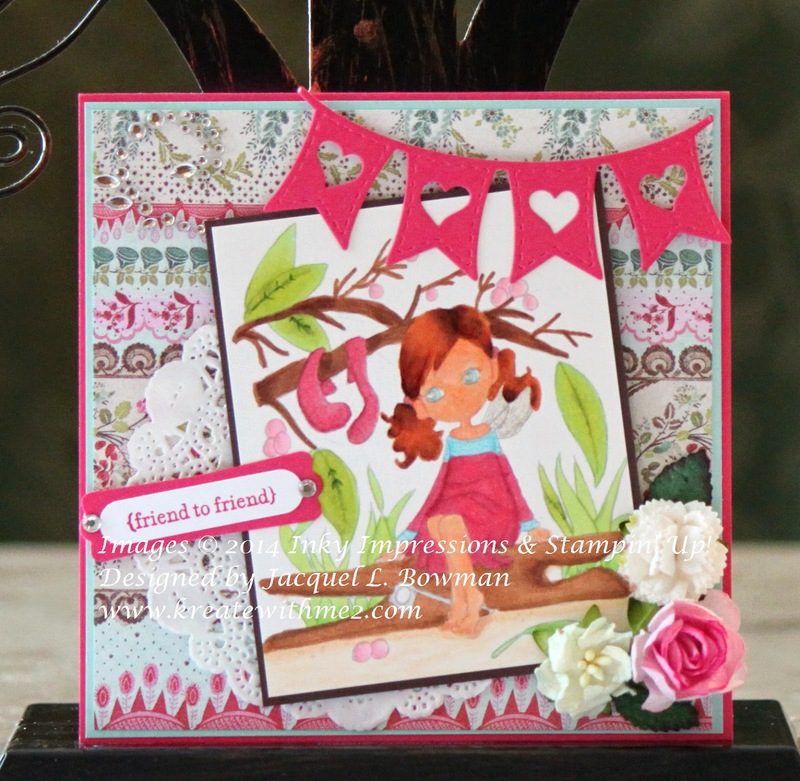 Thanks so much for participating in our STAMPING BOUTIQUE doily challenge!! Hope to see you again for our next challenge! !